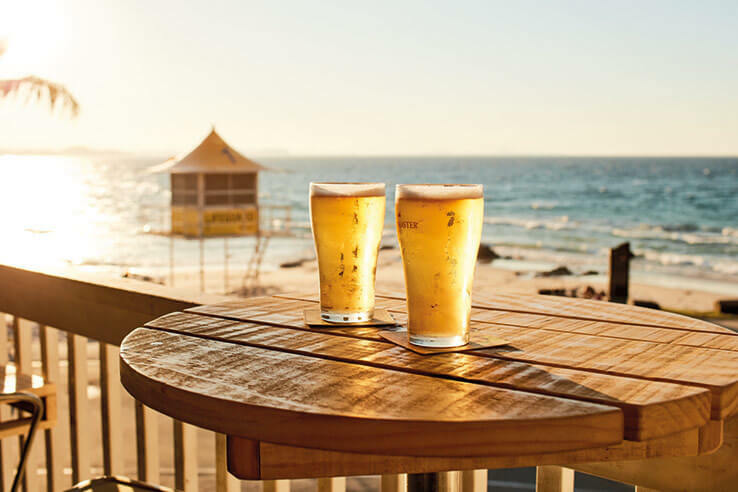 Here's our guide to instant satisfaction when you first arrive in Brisbane, in no time you'll feel right at home and ready to take the city by storm. Brisbane is at the edge of Moreton Bay, which is home to the bug of the same name. Moreton Bay bugs are not insects, they're a type of slipper lobster that looks like something from the Jurassic period. Take it from us, they are absolutely delicious. Find yourself a riverside restaurant and order a plate of grilled bugs, or go the whole hog with a seafood platter. 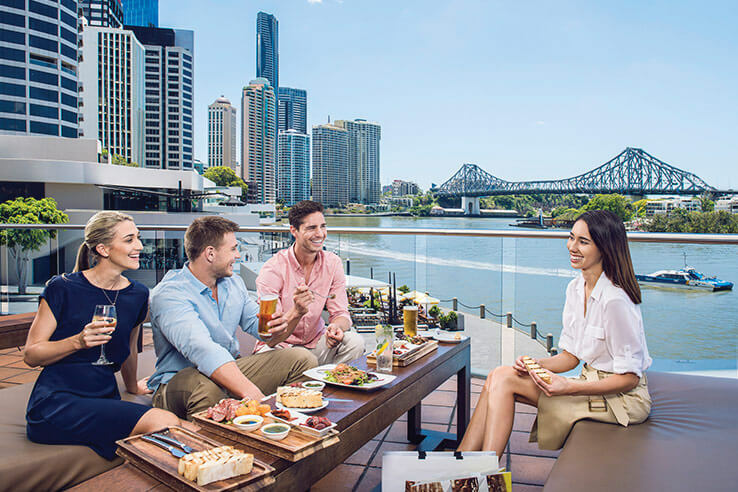 Find a long cool one by the river, which is hard to miss because it cuts Brisbane in two. You'll find a mass of great bars on the riverbank just north of the botanic gardens. Choose a theme to suit your mood - Italian, uber-cool contemporary, modern Australian or sports pub. The local craft beer scene is fizzing, so ask a barman for a recommendation. Alternatively, Queensland serves up some terrific tropical cocktails. Discover the sheltered islands of southern Moreton Bay on a sea kayak tour, launching from Redland Bay. 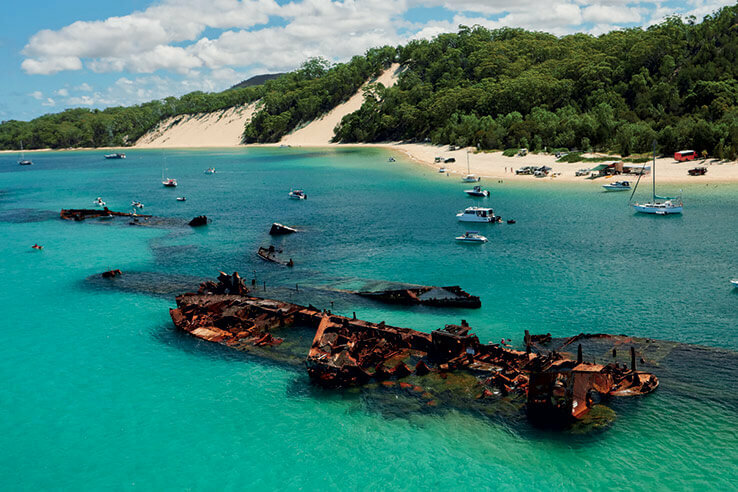 One of the prettiest destinations is Coochiemudlo Island, known locally as Coochie. There's a good chance you'll see turtles while paddling to the island, or even a dugong. Another kayaking destination is Tingalpa Creek, a wildlife corridor where you can watch sea eagles and wading birds. Queensland has some of the most luxurious day spas on the planet. 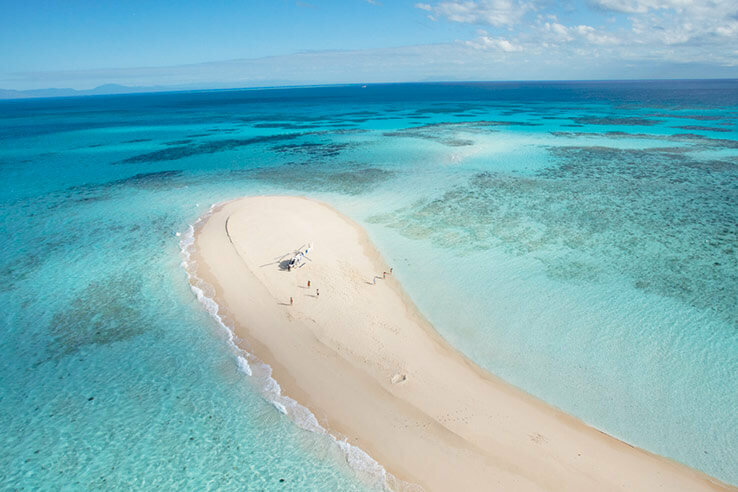 Relax with a riverbed massage while you glamp in the Hinterland, enjoy beachside yoga after a day at the Gold Coast markets, and kick back in bath-like waters with a cocktail in hand at the Whitsundays Islands. If you travel to unwind, then you've come to the right place. Just up the river from Brisbane's CBD is the 18-hectare Lone Pine Koala Sanctuary, home to more than 130 koalas, as well as a community of kangaroos, dingoes, Tasmanian devils, wombats, platypus, echidnas and a variety of reptiles. This is where you can cuddle a koala, walk with a dingo and appreciate sun-baking pythons. You need to book for this experience, because you'll be guided by a keeper during your encounter. Visiting one of nature's finest creations, the Great Barrier Reef, is a powerful experience. With velvety, white sand beaches and turquoise water, the reef will leave you with memories for a lifetime. One of the most captivating ways to experience the reef is by boat, either relaxing as a passenger or adventuring out as your own captain.